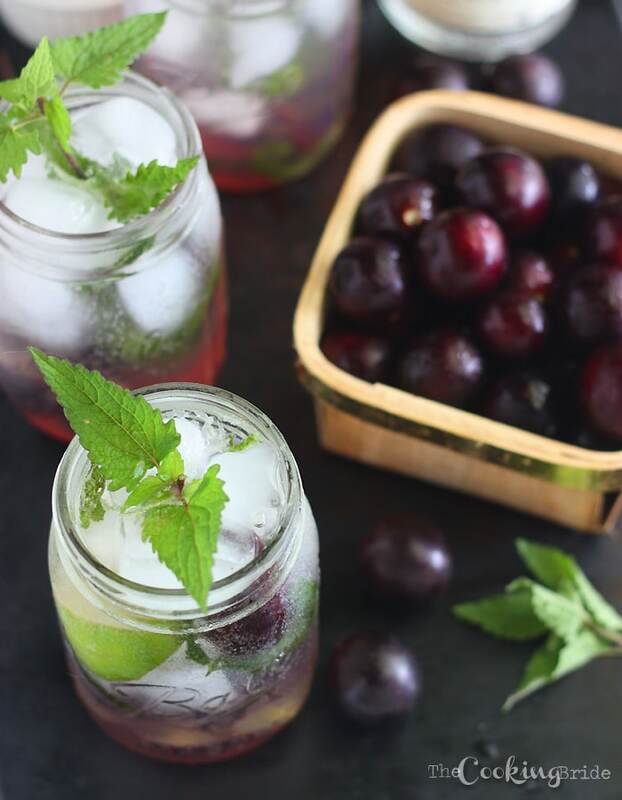 Muscadine simple syrup is combined with white rum, fresh mint leaves, lime juice and club soda in this Southern twist on a popular Cuban drink. 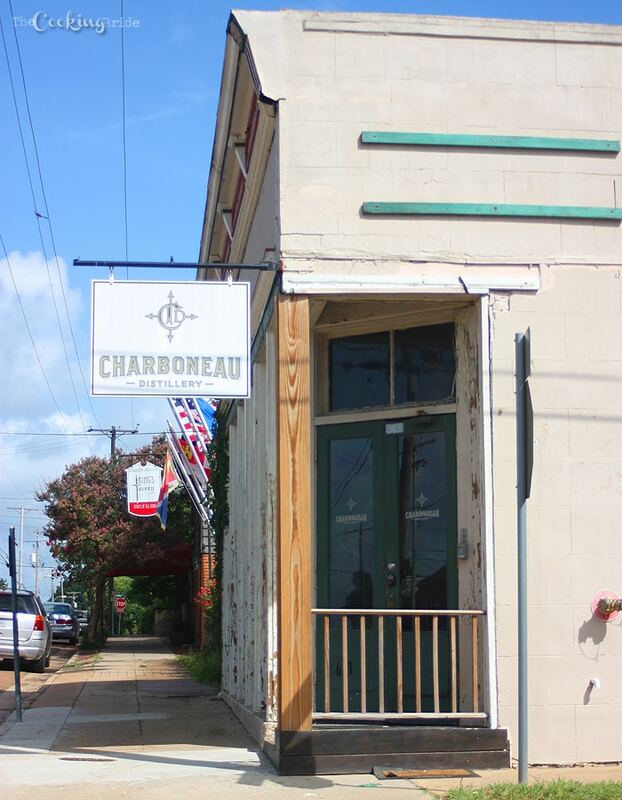 This post was not sponsored by Charboneau Distillery. Earlier this summer, The Husband and I celebrated ten years of marriage! Back in the early days of our marriage, we used to actually do something for our anniversary – whether it was a romantic dinner or a weekend away. All that stopped when we had kids. Hey, I’m just bein’ honest. But ten years is a milestone, at least in this day and age. Neither of us wanted to let it day pass us by with a kiss and a “Happy Anniversary!” as we’re heading out the door. We had two out-of-state weddings we planned to travel for, so a big posh trip just wasn’t in our budget. Then back in May, I ran into Chef Regina Charboneau. 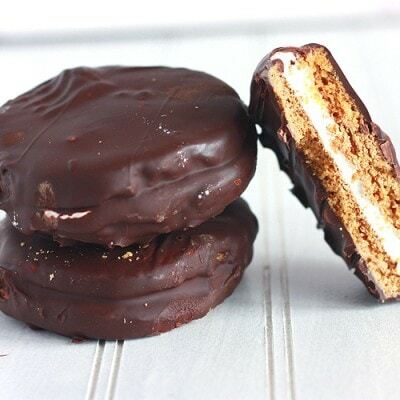 Chef Regina founded Biscuits and Blues in San Francisco and has owned several restaurants over the course of her career. She’s a native of Natchez, MS, and moved back to her hometown in 2001. Currently she lives in this gorgeous 1830’s home called Twin Oaks, is the culinary director for American Queen Steamboat Company, and a few years ago in her spare time (ha!) she remodeled and reopened The King’s Tavern in Natchez. 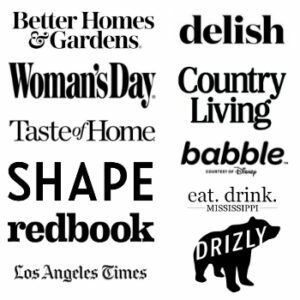 I’ve interviewed Chef Regina for two different magazines in the last three years and we’ve kept in touch off and on. As we were catching up, she insisted that The Husband and I make another trip to Natchez, visit the tavern, and tour the rum distillery her husband Doug and son Jean-Luc recently founded. Natchez, in my opinion, is one of the most romantic cities not only in Mississippi, but in the South. Tucked within Spanish moss-covered oak trees are gorgeous pre-and-post Civil War mansions. The cottages downtown are reminiscent of the Garden District in New Orleans. Coincidentally, The Husband and I spent a weekend in Natchez on our very first wedding anniversary. When I suggested we revisit, he was totally game. The first night we were in town, we met Jean-Luc Charboneau and he was nice enough to give us a tour of Charboneau Distillery. I mentioned in this post that because of some very archaic laws, Mississippi has only recently entered the craft beer and spirits industry. Even though Mississippi hasn’t been producing craft beer and spirits very long, that doesn’t mean that we’re not doing it well. In fact, Jean-Luc is doing it very well. 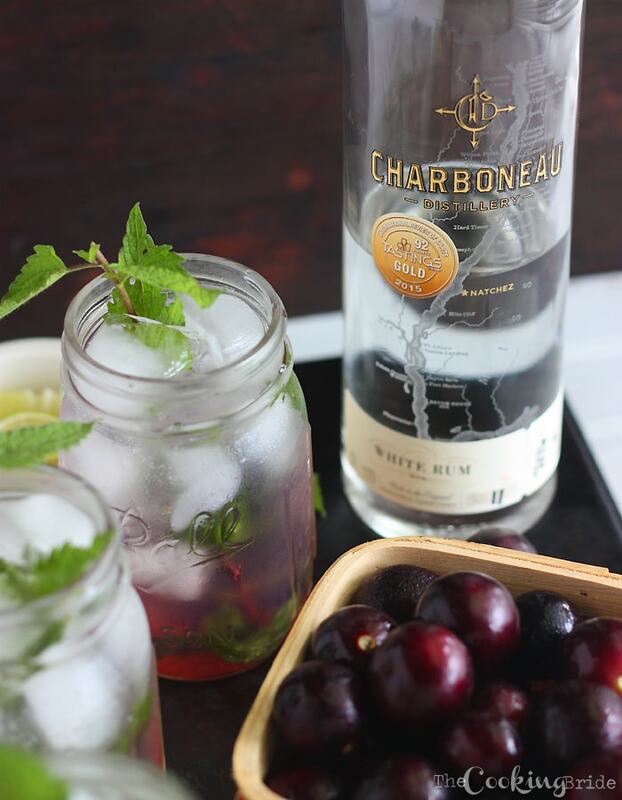 Charboneau Distillery released its first batch of Charboneau White Rum in November 2014. Seven months later in June 2015, the rum received a 92 rating and Gold Medal from the Beverage Tasting Institute, making it the highest rated American made White Rum BTI has ever rated. 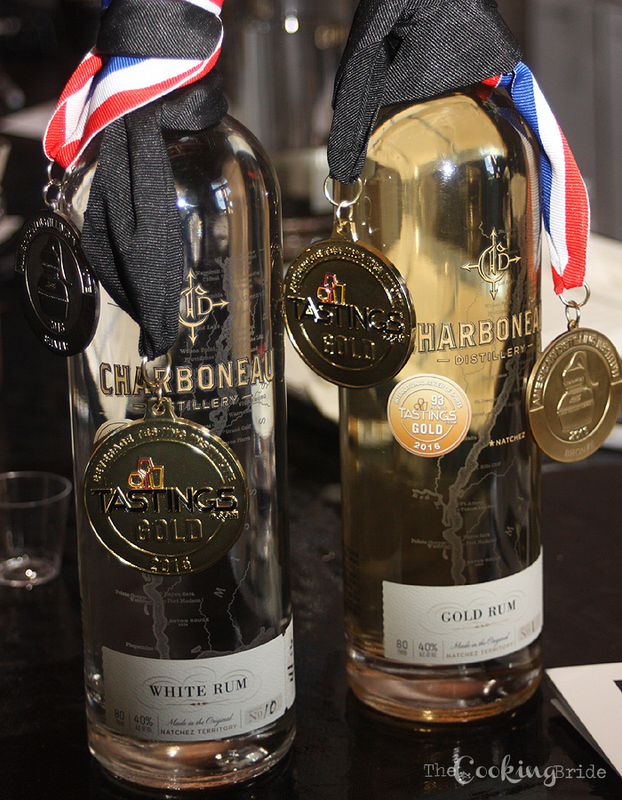 Earlier this year, they released Charboneau Gold Rum. Guess what? It received a 93 rating and Gold Medal from the Beverage Tasting Institute in April of this year. It’s highest rated American made Gold Rum BTI has ever rated. The Husband and I returned from our kid-free weekend getaway relaxed and well rested with a bottle of Charboneau White Rum to add to our liquor cabinet. I immediately began researching the perfect cocktail to use it in. 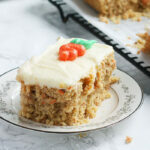 I thought about a rum punch, but there are a gazillion recipes for rum punch out there. What does the internet care about one more? Since this is Southern-made rum, I really wanted something with a Southern twist. 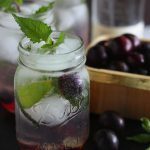 And that’s when it hit me – muscadine mojitos! 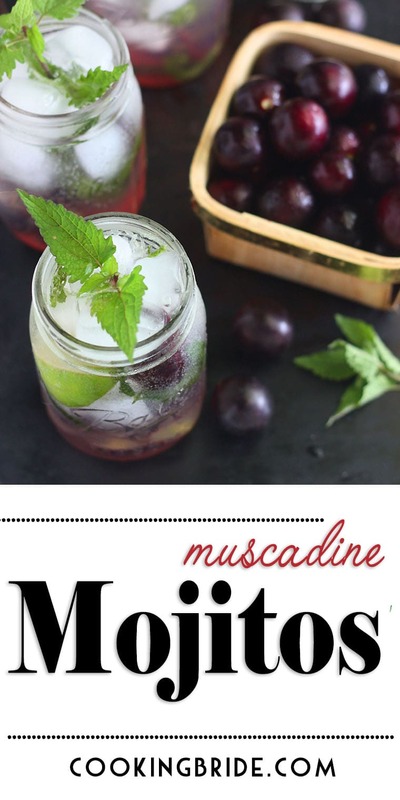 If you’re not from around here, you may be wondering – what in the heck is a muscadine? It’s a grape that’s native to the South. 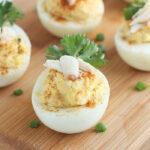 It has a thick skin and in my opinion, a flavor that takes some getting used to. I remember the first time I tried a green muscadine as a child. I thought my mouth was going to turn inside out. When mixed with some sugar, they do have a sweet, grapey flavor. They’re typically in season during the late summer, early fall months. So I’ve been waiting, rather impatiently, for muscadines to hit the farmer’s market. Finally this week, The Husband came home with a quart-sized bag of gorgeous dark purple muscadines. 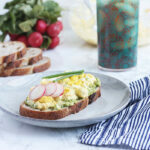 When simmered with some sugar and water they produce a lovely, pink-hued simple syrup. Fresh lime juice and mint leaves cuts the sweetness of the syrup. 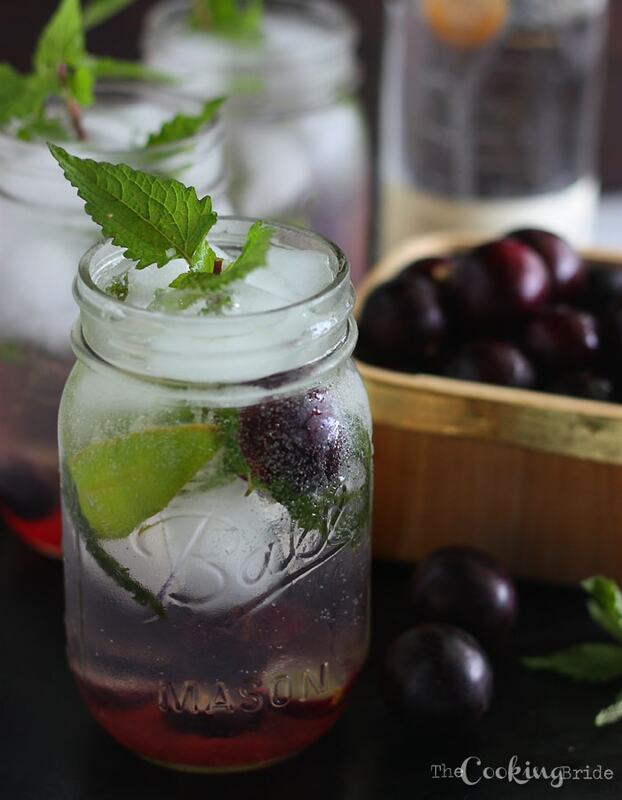 It’s a perfect, refreshing drink for late summer. 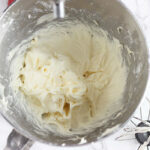 Combine simple syrup ingredients in a medium saucepan. Bring to a boil over medium high heat. Reduce heat to low and simmer, covered, for 15 minutes until muscadines become soft and break open. Remove pan from heat. Strain syrup over a fine mesh sieve. Using the back of a spoon, mash the muscadines to extract as much of the juice as possible. Discard the solids. Allow simple syrup to cool completely. Place about 10 fresh mint leaves in the bottom of a glass. Muddle the mint leaves. If you don't have a muddler, I also like to roll the leaves between my palms to bruise them and draw out the oils before adding them to the glass. Fill the glass with ice. Add muscadine simple syrup and rum. Squeeze half a lime wedge into the glass. 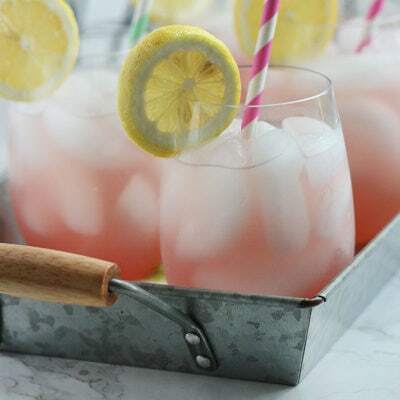 Top each glass with club soda.